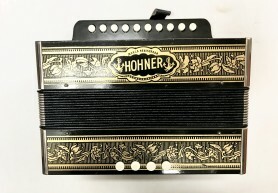 Although here at The Accordion Shop we tend to specialise in piano accordions, from time to time we do also have a selection of pre-owned melodeons, concertinas and various other diatonic and chromatic folk instruments. 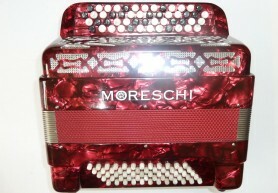 These models are generally much more lightweight and compact than piano accordions and are ideal for travelling with or for use in situations that would require standing for extended periods of time, for example playing for Morris dancing or in a folk dance band. 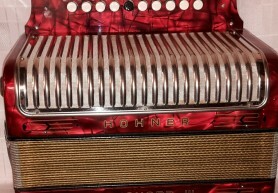 As a general rule, folk instruments tend to be diatonic, which means that they can only play in a certain number of keys depending on the size of the instrument. 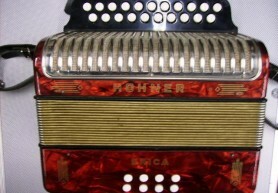 D/G and G/C are popular keys for English folk, whilst B/C is the preferred tuning for Irish music. 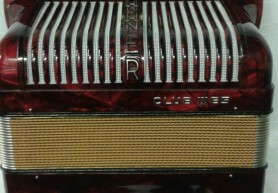 Some Melodeons are also available in a three row tuning. 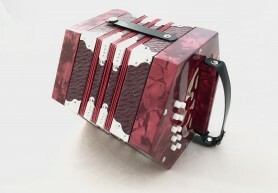 However, some folk instruments, such as the English concertina, are fully chromatic like an accordion, meaning that they are capable of playing in any key. 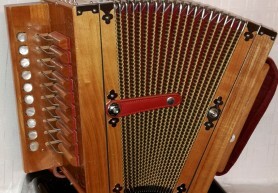 As well as our pre-owned folk instruments, we are able to order new melodions and concertinas from any of the manufacturers listed in our factory list. 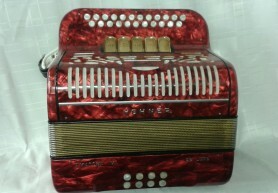 Please contact us for details and prices.